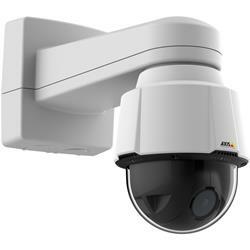 AXIS P5624-E Mk II PTZ Dome Network Camera is a cost-effective, outdoor-ready HDTV 720p camera with 23x optical zoom. It enables video surveillance of large indoor and outdoor areas and provides great detail when zooming in. Focus recall means it's faster and easier for operators to find focus in a predefined area than with regular autofocus. AXIS P5624-E Mk II is ideal for applications such as retail surveillance.